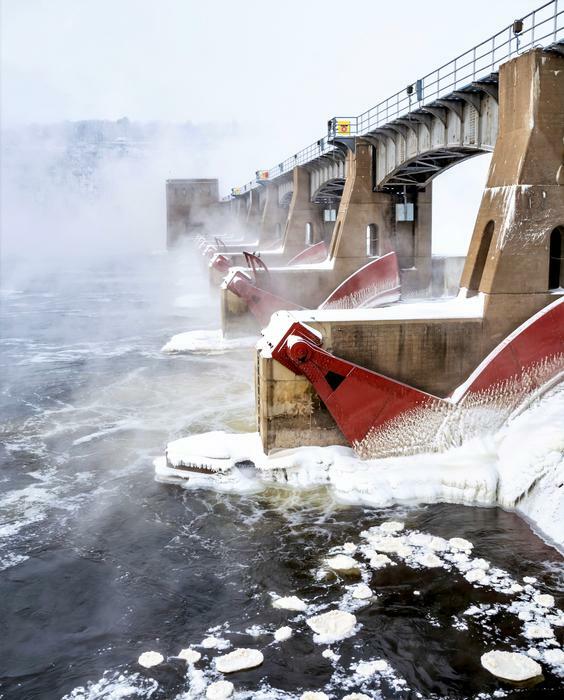 Mist, icy waterfalls and ice floes are created by Lock and Dam No. 11. Taken January 26, 2019 Wisconsin by Deanna Tomkins.